Ugly Bustards Footy Tipping - the best footy tipping comp you've never heard of. If you want to be a big fish in a small pond this is the one to join. 2014 sees yet another mind-bending spectacular Ugly Bustards Footy Tipping season underway, the 15th Uglybustards AFL tipping competition since our humble beginnings back in 2000. After a tear away victory last year that literally ended the competition half way through the season, in 2014 we have the "Sam Griggs invoked Joker Ladder" to ensure the season is never over until the fat lady sings. Yes indeed, in 2014 we've returned after a gut-wrenching pre-season BIGGER, BETTER & BOLDER!!! BIGGER: 5 Joker rounds set by you where you can double your points! BETTER: Full card picks of 9 winners give you 5 bonus points for that round! BOLDER: Away teams for missed tips, meaning you could still get the full card! It will be anyone's comp to win this year, right up to the Grand Final. Check out the prizes for 2014 including this year's sponsor Huru Sports who have provided the inaugural Uglybustards footy guernsey for this year's Tipping Champion! You can play for free, but if you want to make it more interesting, there is a prize pool payment of $20 by April 30, email uglybustard@uglybustards.com for details. 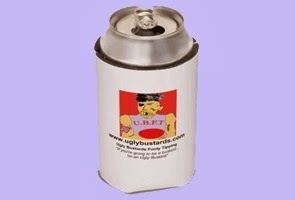 This year for $30 you receive a you-beaut Uglybustards stubby holder on top of your entry! (delivery included). So if you veterans can stomach another year, join up for the challenge of knocking off reigning titleholder Sam. Newbies - info about joining Uglybustards. Finally, we thought that we had pretty good pre-seasons at Uglybustards, but with the infamous Cost Of Living Allowance (COLA), the Swans are just too hard to compete with. See below. And Go Youse Uglybustaaaaaaaaaaaaaaards!!!! !